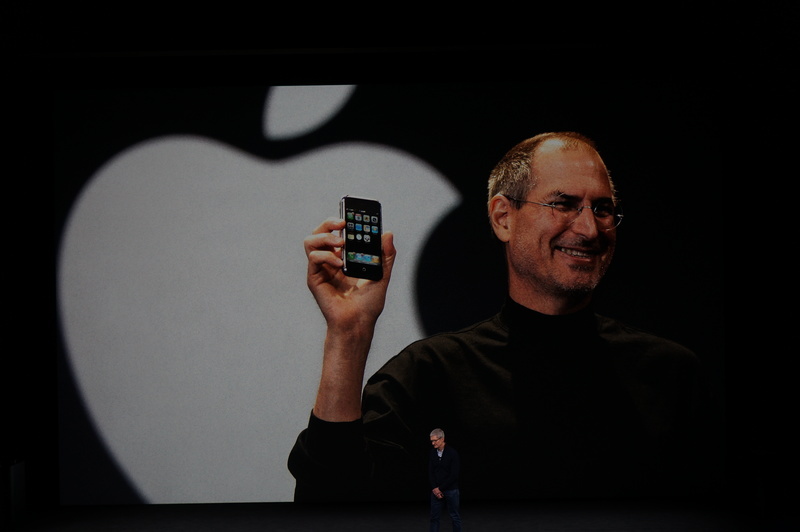 The event starts with a nice tribute to Steve Jobs. And CEO Tim Cook walks out. 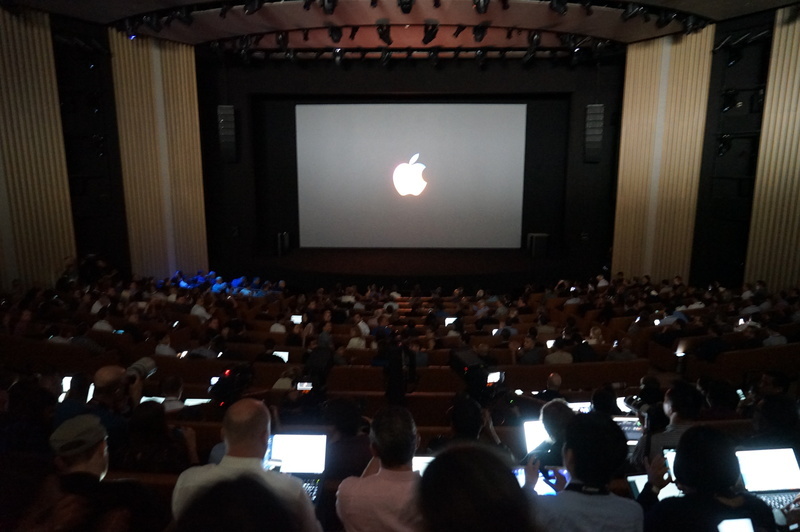 We began with two minutes of silence as we listened to Steve Jobs talk. That was new. "I love hearing his voice," Cook says. "And his inspiring message." 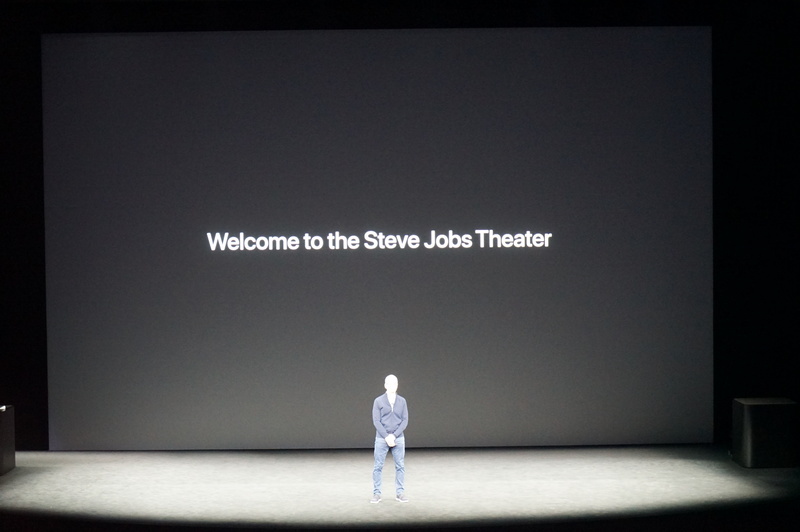 It's only fitting that Steve should open his theater, Cook says. A quiet tone to start. 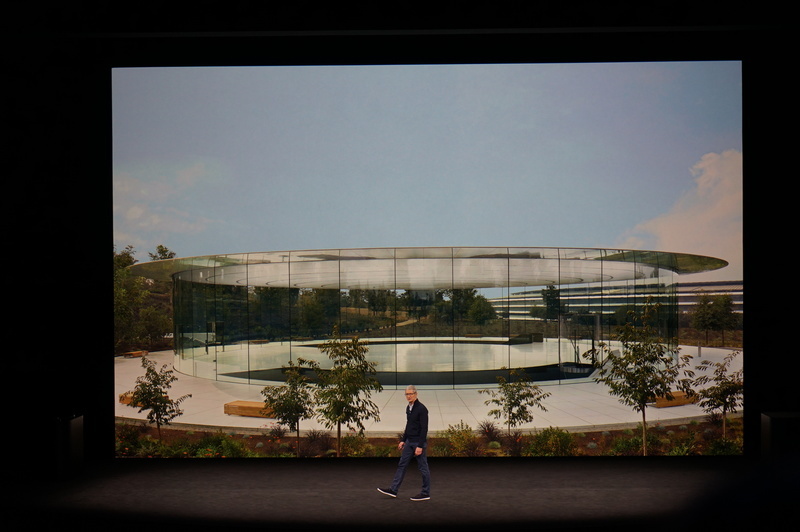 It's the honor of a lifetime to be the first to welcome you to the Steve Jobs Theater, Cook says. 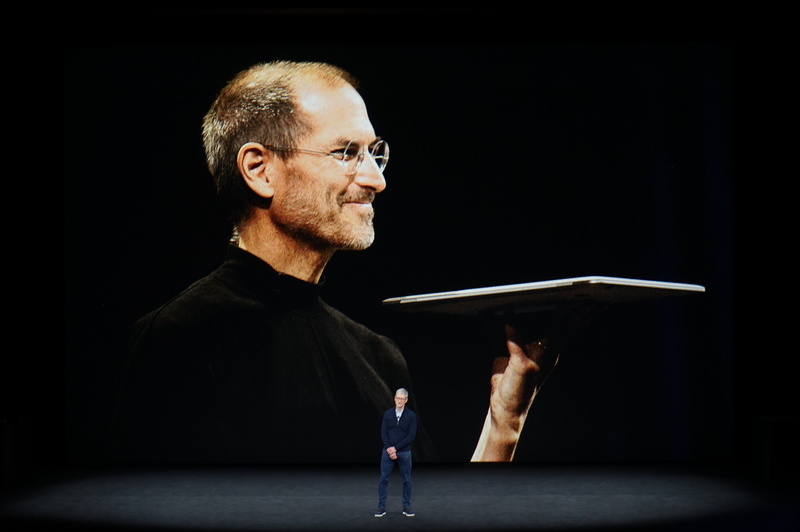 We're kicking off with a big retrospective on Steve Jobs. Many photos are flashing behind Cook. "We can now reflect on him with joy, instead of sadness," Cook says. 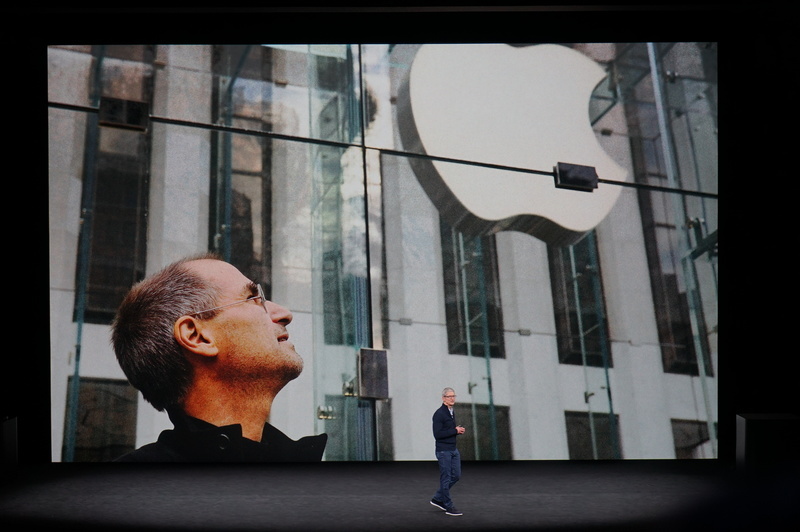 "His philosophy will always be in the DNA of Apple," Cook says. His expression of appreciation for humanity would not from a single product, but Apple itself, Cook says. We dedicated this theater to Steve because we loved him and because he loved days like this, Cook says. We do this to inspire the next generation of creators and innovators, Cook says. 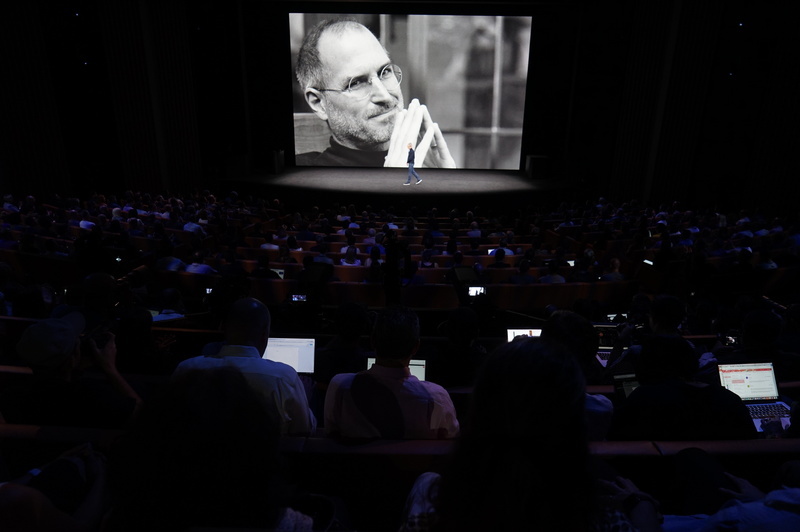 Steve Jobs showed an uncanny ability to unlock the talent of everybody he worked with, Cook says. He believed the surrounding environment should inspire people to do their best work, Cook says. 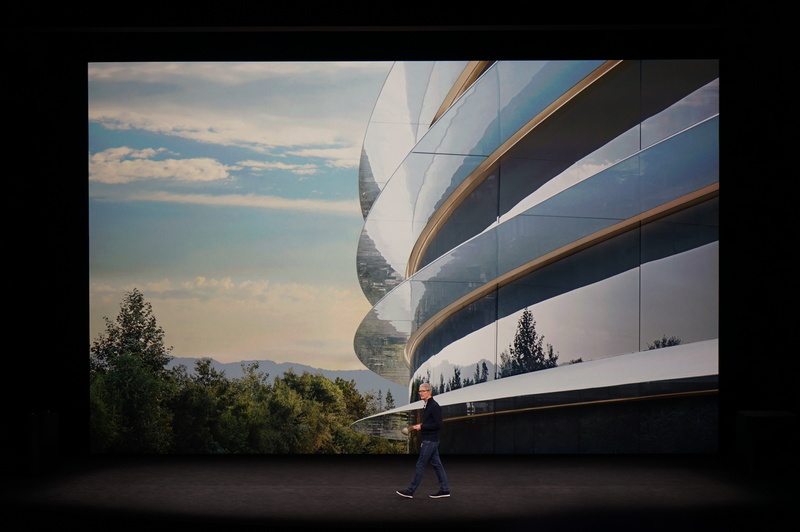 Steve Jobs started working on this campus a decade ago, Cook says. Steve's vision and passion live on here at Apple Park and everywhere at Apple, Cook says. Today, and always, we honor him, Cook says. 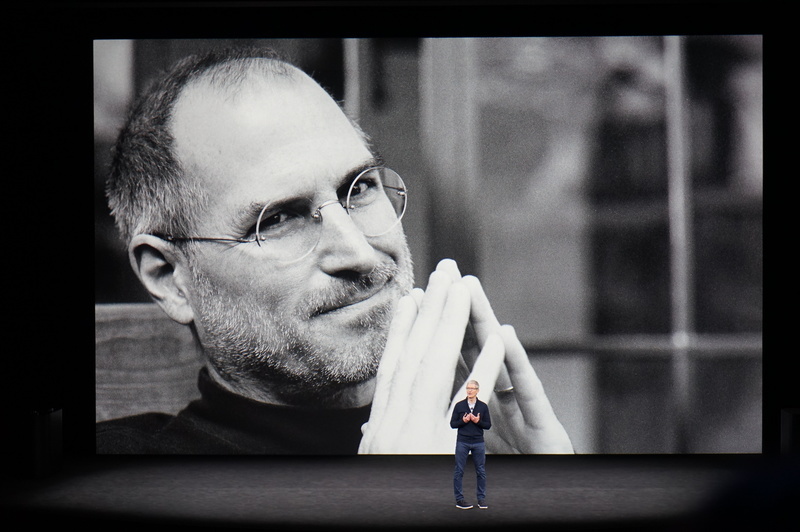 The photos freeze on a shot of Steve Jobs, fingers together. Cook is going to start with the storms that ravaged Texas, Florida and the Caribbean. You are in our prayers, he says. 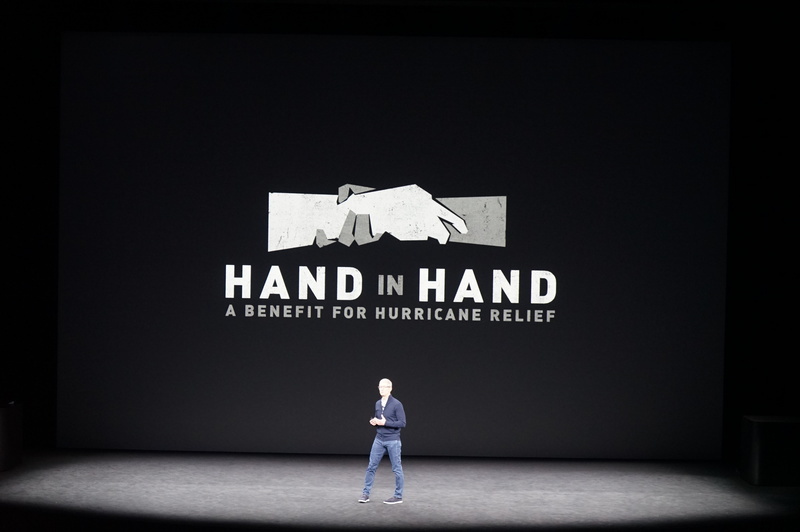 Apple is working with Hand in Hand and the Red Cross, Cook says. You can donate via iTunes and the App Store. Cook encourages everyone to watch the special relief effort on TV tonight. Now on to the new campus. Apple will start moving to the new campus later this year, he says. Apple Park details, now. People aren't in it yet. Later this year. 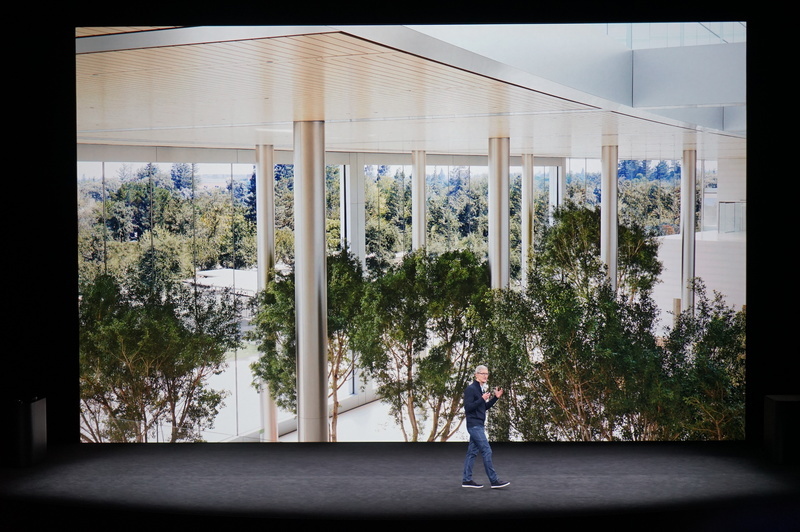 Apple Park itself was converted from a sea of asphalt into a 175-acre green space with more than 9,000 trees, Cook says. It's powered by 100% renewable energy, Cook says. We have one of the world's largest on-site solar installations, Cook says.